During the period of 1928-2003 "Shuna" Central Design Bureau implemented construction of 4000 ships after 300 own designs. Among them were 2000 fishing vessels and 2000 ships of various application (research boats, passenger ships, self-propelled and non-self-propelled freighters and battleships. During the last year the Bureau concentrated on designing transport ships and work boats for Ukrainian customers. New international contacts with customers from Egypt, India, Vietnam, China and Georgia are being established. In 2002 total production output of Ukrainian shipbuilding enterprizes made up to $230 million. It was 23,3% higher than the previous year. 43 vessels were built including 5 domestic contracts amounted to $17,3 million. Among the largest foreign customers were Damen Shipyards Group, IHDA (the Netherlands), Dof Industry AS (Norway), Avin International SA (Greece), Schiffswerft Schlomer GMBH Co., « Philippe Ebert» (Germany). Russian customers include Gazprom JSC, Volgo-Donskoe Shipyard, Donrechflot and Sakhmar. Five years ago Ukrainian shipbuilding suffered rather unfavourable situation. Lack of investments from both the government and ship-owners resulted in threefold reduction of employees involved in the industry in comparence to 1990. NORDWEG - operating 24 hours a day! After the collaps of the USSR Ukrain virtually lost its commercial and passenger fleet. A large number of high-qualified staff have found themselves out of job. In the meanwhile, there are 22 colleges and marine academies turn out thosands young specialists annually. Sea-folk were forced to apply for job to foreign ship-owners from Greece, Germany, Great Britain, Holland and the United States via agent companies. During the last 12 years over 60 thousand Ukrainian seamen found job abroad. "Yugreftransflot" JSC is the largest Ukrainian company involved in refrigerator transportation. It was established in 1994 on the base of former state enterprise. General goal of all SOROSS activities in 2003 has been assistance to the members of the Union in creating favourable conditions for operating and development. By the 1st of January SOROSS included 79 member organizations, 60% of which were shipping companies. According to Regulation EC 1726/2003 (which came into force on October, 21st 2003) single hull tankers of less than 5000 tones deadweight, irrespective of flag, will be restricted to enter European ports after their anniversary date of delivery in year 2008. At London Diplomatic Conference on Protection at Sea (December, 2002) amendments to International Convention on protection of human life at sea (SOLAS-74) were adopted. Among the most important were the new article XI-2 "Special means for protection at sea" and International code for ship and port facility security (ISPS Code). Implementation of those articles in Russiais a responsibility of State Office "Marine Security Service" of Russian Ministry of Transport. Shipping in Black Sea straits area covering 164 miles of "Bosporus-Sea of Marmora-Dardanelles" international shipping lane was suffering a serious problem during the last decade. On the one hand, the reason of this problem is objective – growth of transit traffic of hazardous cargo, which is environmentally unsafe. The other side of the problem relates to arbitrary politics of the Turkish administration concerning restriction of shipping, which may finally lead to establishing of sovereign power of Turkey over the straits. As a result, ships stand idle and shipping and oil companies suffer substantial financial losses. Moreover, competitiveness of oil exported from the whole Black Sea basin is affected, as well as intergovernmental conflicts between Russia and Turkey arise. In 2003 China’s gross domestic product was $1,4 trillion, which made it 6th country in the world. Economists predict that if present tendencies persist China may become the world’s second superpower to the year 2030. Its globale share of capitals can reach 22%, while share of the USA will decrease to 25% and Europe – to 19%. Today China outnumbers all other countries in volume of container traffic of its sea ports. 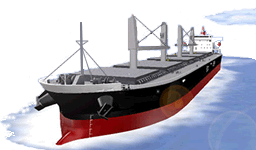 Total freight flow in 2003 amounted to 48 million TEU to compare to 37 million in 2002. In Spring, 2002 Volgotanker Group informed of the steps taken for improvement of transportation process. The issue was the Volgotanker’s refusal to services provided by agent companies in Russian estuary and sea ports. Now those services are rendered by Volgotanker company via newly created Stevedoring and Forwarding office. CNIIMF succeeded in solving a lot of of complex problems, which has had a great influence on the industry. The Institute implemented a great number of research and design works in basic fields of research and technology in sea-going transport. Among them are: "Programme for Revival of Commercial Fleet of Russia"; Project for shipping policy of Russian Federation; legislation "On Russian International Ship Register". International Transport Federation (ITF) was established in 1896 in London by leaders of European trade unions of seamen and dockers. At present time the Federation protects interests of more than 5 million workers involved in 600 trade unions in 134 countries all over the world. Thanks to effective activities of the ITF members, many ship-owners using "flag of convenience" were forced to accept the ITF agreements. ITF agreement guarantees mimimum salary rate to seamen, life insurance, working and leisure conditions onboard. The primary mission of an ITF inspector is to assist seamen outside their native country whenever they are unable to address to their trade union directly. 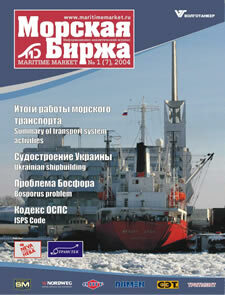 Freight turnover of Russian port in 2003 was 285,7 million tons. It is more as compared to 2002 by 25,1 million tons (9,6%). At the same time, volume of dry-cargo trans-shipment was 132,2 million tons (2,1 million tons or 1,5% more than the previous year) and bulked cargo – 153,5 mil. tons (23 mil. Or 17,6% more). 34,2 million tons of cargo were transported during the year, which is lower as compared to 2002 by 3,1 mil. tons. In 2003 sea ports succeeded in increasing freight turnover to 110,64 milion tones (4,1% higher than the previous year). Transit volume grew by 6 million tones, and import – by 3,65 million tones. In 2003 sea ports of Ukraine served about 322 thousand TEU, including about 210 thousand loaded TEU. A considerable growth of container handling was achieved at the same time: 42% in Odessa Port and 48% in Ilichevo. Russian Baltic ports in total increased volume of cargo trans-shipment by 12%. Meanwhile all ports in Baltic sea achieved 7% increase, and the neighbouring Finland – close to 8%. Almost all ports in the region were involved in large investment projects. In the fall of 2003 government announced its determination to put up for auction share holding of Murmansk Sea Commercial Port. The auction is expected to take place in March, 2004. 12,5% of shares of "Murmansk Sea Commercial Port" JSC shall be sold. The port’s cumulative freight turnover ammounts today to 10 million tones. Besides, 3,2 million tones of oil were transferred via Murmansk Sea Commercial Port. The General scheme for Murmansk port junction development concerns two tasks — reconstruction of terminals and construction of new fascilities. "Baltic Bulker Terminal" JSC belongs to the Port of Saint Petersburg and is an operating company of the Universal trans-shipping complex for chemical furtilizers located in the area 4 of the Sea Port St. Petersburg. Vostochny port celebrates 30 anniversary! Vostochny Port is the largest Russian Far East port. It was planned in the late 60’s as the basic port for Soviet-Japan trade. Today it is one of the most important centers of Russian export traffic to all countries in Asian-Pacific region. The port mainly serves general cargo, bulk cargo, timber and large-capacity containers. "Baltic Pipeline System" project is one of the most promising in Russia. Its objective is to create a new export opportunity for transporting Russian oil from Timano-Pechyorsky region, Western Siberia and Uralo-Povolzhsky region to European and American markets. The Arctic and Antarctic research institute has been sending scientific expeditions to explore the shelf of Russia’s northern seas for many years. This year several new extensive expeditions have been undertaken, two of them to the Prirazlomnoe field, which is expected to yield the first oil in 2005. All in all, the institute sent five expeditions to Prirazlomnoe in winter and five in summer. The scientific data thus obtained were used in designing the base for the ice-strengthened marine platform, which next year is to take its place in the sea of Pechora at a depth of 19 meters. For the platform designers to make the final calculations of the load on the rig base, the parameters of ice in the Prirazlomnoe region were to be precisely defined and all the natural factors were to be taken into consideration. Non-profit organization "’Standard’ Project" will continue construction of the copy of the English yacht of Peter the Great. Yacht "Royal" was originally built in 1695 in Chatham. Its purpose was to transport the king from England to Holland and back. The yacht served in the Belomor fleet until 1715 when it hit the rocks near Sweden on its way to Baltic. The modern copy will feature construction and rig of the original precisely. The only modernization expected are watertight tanks in the hull and up-to-date navigation system. CNII SET - Вranch FSUE "Krylov State Research Centre"